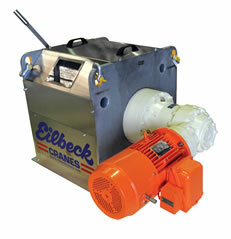 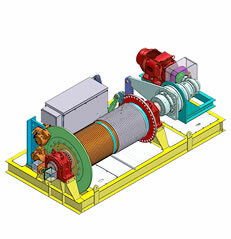 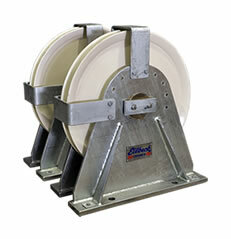 Eilbeck Cranes has developed an innovative tension control winch. 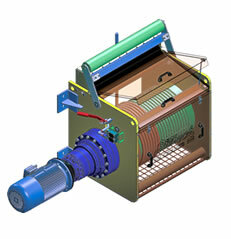 The clients plant control system sends our Winch Control System the tension set point. 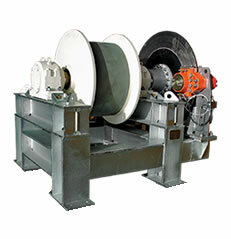 Via redundant wire rope load cells, the speed & direction of the winch automatically hauls in or pays out rope to match the set point. 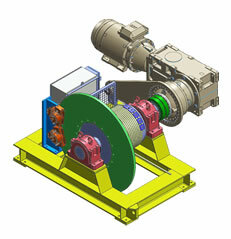 Full diagnostics of the Winch Control System is passed to the Plant Control System via Industrial Comms link. 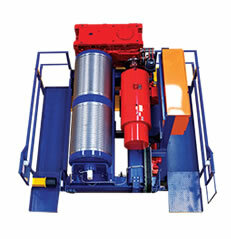 Owing to forced cooling of the winch motor & closed loop speed control, 24/7 constant torque tension control is maintained from zero rope speed all the way to maximum. 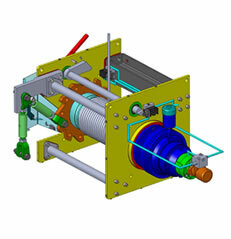 Along with hydraulic released, fail safe spring return winch brake calipers – Safety is implemented as the highest design priority.